take their ideas to the world. gemaker provides expert advice, services and training to commercialise new technologies, products or services. Our clients are research organisations and innovative businesses in science and engineering based sectors. We are experts in the commercialisation space and can help you identify IP, negotiate license agreements, identify and secure capital from relevant sources and make sense of heavily regulated or political environments. Our in-depth market research will show you what your key competitors are doing, how you can develop future customer and investor bases, and which market you should enter next. Raising your company profile through the development of savvy and relevant marketing strategies is one of our core services. Additionally, we can provide you with a wide variety of digital marketing services to help you build your company brand. gemaker is a conduit between organisations in the technology commercialisation space. As a result, we can help you expand your professional networks and connect you with prospective partners, customers and funders. There are many ways to safeguard your intellectual property (IP) and a patent may not be a realistic option or the smartest choice – the significant investment required could easily outweigh your return. Because we see the bigger commercialisation picture, gemaker can provide training and advice to help you determine an IP strategy that best suits your circumstance. Using our extensive networks in the research sector and outstanding experience and expertise in global market research, we can develop credible, detailed and robust business cases and benchmarking for STEM research infrastructure, equipment and facilities. 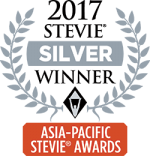 Our Industry Engagement Training for Researchers has been awarded the 2017 Stevie Award for Innovation in Business-to-Business Services! RESEARCH ORGANISATIONS AND INNOVATIVE BUSINESSES. Here is a sample of clients we have worked with. Click on a logo or visit our Success Page to learn more about the work we have completed for our clients and the associated outcomes. See how we help you on your commercialisation journey.